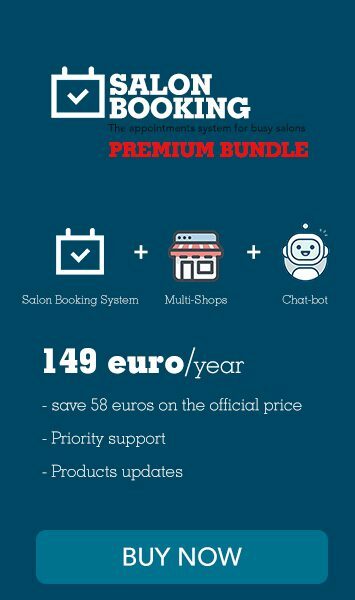 After the summer break we are ready to release a new version of Salon Booking. In this version we focused our efforts on the resolutions of a bunch of bugs and some little improvements. One interesting improvement is related to the reservations added from back-end. 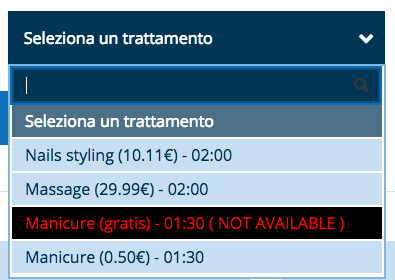 Now you’ll see instantly which service are available for a reservation just opening the drop-down menu. In the next release this improvement will be added even to the assistants selection. and we count to complete it in three weeks. We’ll keep you posted.